It was at CES 2011. 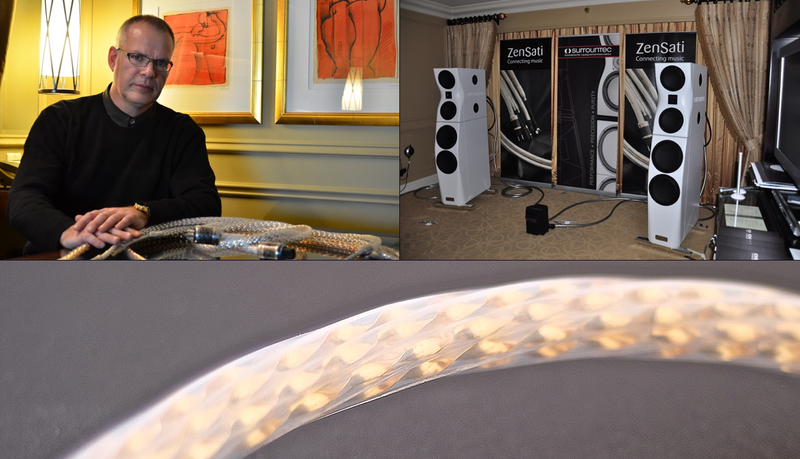 Via a fellow Aussie, I was introduced to the statuesque and rather gentlemanly Mark Johansen, owner and founder of ZenSati cables. Back then, I believe that it may have been the company’s first CES. Regardless, there was a vibe among journos about the sound in the company’s room shared with stalwarts Krell and Sutherland Engineering who provided the electronics whilst German newcomer Surrountec showed off its massive flagship speakers. I remember that the room featured a complex system with an intricate grid of copious ZenSati flagship cable—the ZenSati #1 back then—whose sound seemed effortlessly dynamic and utterly transparent. I spent quite some time there and Mark Johansen, Australian distributor George Fracchia and I chatted about many things, including the state of the high-end in general and then more specifically about cable. Johansen showed a reassuring passion for his company’s products and even back then had grand plans for extending the range and taking the ZenSati brand to the very top of the high-end cable design tree. After that year’s CES, Johansen periodically kept in contact and I subsequently reviewed ZenSati’s #2 cable and was suitably impressed with its performance and build quality. That was in late 2013 and the review can be found here. Since then ZenSati have substantially expanded their range, book-ending their 2013 lines with the ‘entry-level’ Angel and at the very top of the heap, the Cherub and then Seraphim ranges.